Condensation is an extremely underestimated cause of damage to our homes. It is responsible for rot in rafters, joists and window frames, it can cause blackspot mould (a black spotted mold growth on walls), mildew (a mould often found in cupboards and wardrobes), and fungal growth on walls and ceilings. 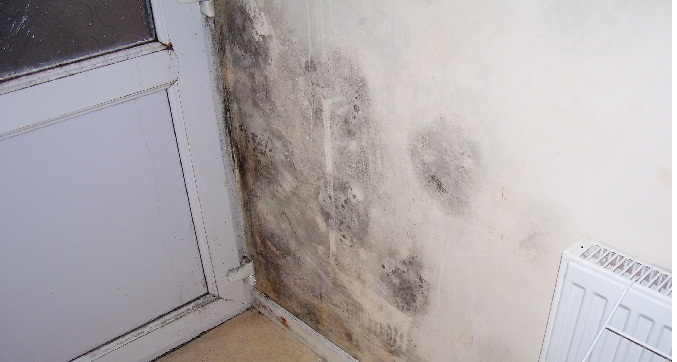 If not dealt with, condensation can damage our health. In Victorian times when properties were more substantially constructed, the properties were warmed by open fires; these fires sent a great rush of air up the chimney flue and created a natural influx of fresh air through the ill-fitting windows, doors and floorboards. Those houses breathed, In those houses condensation was rare. These days we have building regulations obsessed with ‘U’ values and we install airtight double glazing and doors etc, there are few open fires and our homes are centrally heated. Moist air has little escape. It is not always easy to tell. But other kinds of damp, such as rain or plumbing leaks, usually leave a ‘tidemark’. Condensation is usually found on the interior of external north facing walls and in corners, in cupboards and under work surfaces – in fact wherever there is little air movement. If you are not sure what is causing the damp in your home, start by checking pipes and overflows and under sinks to see if there are any obvious leaks. Have a look outside, too – you may be able to see if there are slates missing from the roof or cracked gutters or rainwater pipes. If you live in a new or recently modernised property, don’t forget that it will take time to dry out after building work. It can take 9 to 18 months drying time, as a general rule of thumb you should allow 1 month for every 25mm thickness of wall drying time after the source of moisture ingress has been corrected. It is also highly probable that more heat will be required during that period. All air contains water vapour. The quantity of vapour contained is dependant on the temperature of the air. This ratio is called the relative humidity. Hot air is able to carry much more moisture than cold air, so as the temperature of air rises, it expands thus containing a greater volume of vapour. As soon as warm air, containing vapour, hits a cooler surface, it will condense. This is most obvious on windows and wall tiles (which are usually cooler surfaced), but this also happens on walls and ceilings, due to various decorative finishes it is less obvious in these places. Warm air will always find a surface that is cooler unless we let the stale air out and some fresher air in. Ventilation is the key to reducing condensation. There are many ways we can deal with symptoms or effects of condensation, but only one way to deal with the cause. We must ensure the home is adequately ventilated. Condensation tends to be more prevalent in the corners of a room or behind furniture etc against colder walls (often north facing) where the air has less circulation. The moisture settles on the surface of the walls/ceilings and creates a damp area; depending on the decorative finish this can even penetrate the surface. The fungicidal spores (which are constantly in the air all around us) come into contact with the dampness and have the ideal conditions to propagate and develop into mould. 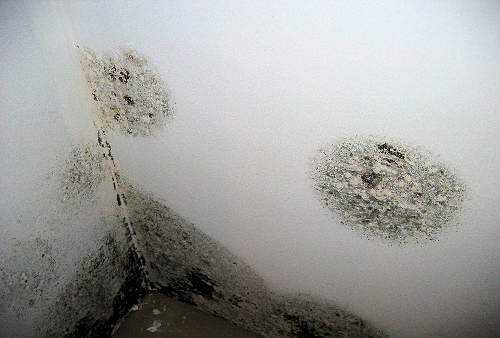 Often the mould is formed in spots and patches; these patches tend to have a blackish appearance. This can cause irreparable damage to decoration and furniture, sometimes occupants can develop breathing complaints if a condensation problem goes uncorrected. The topic of condensation is covered more comprehensively in our Repair Guide where you will also find an excellent method of stopping condensation in cold bathrooms and toilets in older houses especially if situated in a cold extension.